By inspiring the smallest to make healthy choices and lead a healthy and active life, GrowFit is committed to making a positive difference to the world. Previously working with children as a swimming instructor for over 5 years, I experienced firsthand the growing rate of obesity and various other detrimental effects children were displaying from a lack of activity and knowledge at this young age. It took 2 years developing the foundations of the GrowFit program along side of my personal training. 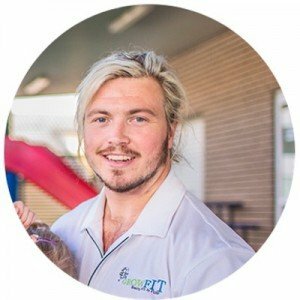 Training at different preschool centres through out Sydney, I found the best method was to completely structure each session around game based learning, with each individual activity lasting no longer then 5 minutes to maintain children attention for optimal skill and knowledge development to take place. Once I had my first 20 week programs written I began the process of teaching it to a few of my personal trainer friends. They loved the variety and were happy to do extra work in a timeframe that is usually quiet and harder to book clients as a personal trainers. This was the beginning and we haven’t looked back. 2016 is our 5th year in operation and the original program that was developed has continued to grow and improve over the past 5 years. In 2014 my now fiancée; Alix joined the team. She used her many years of experience in the childcare sector and her Early Childhood Degree to link our GrowFit program with the Early Years Learn Framework, which made our program a step above any other preschool program. We not only had a structured creative program, but also now the staff at the centre were given a breakdown of how each session covers their Framework (which is similar to a school syllabus). This was a game changer, not only were we offering respite for each centres staff for half an hour every week, but we were reducing the overwhelming amount of curriculum documentation necessary for the operation of a childcare service, by providing weekly written evidence how each child is meeting learning outcomes. As GrowFit has expanded over the past years, and my role has changed, I don’t have the opportunity to work as much with the children and miss seeing them enjoy the GrowFit program. So when I receive an email or message from a happy parent it just makes my day. One of my favourite phone calls was from a mother whose 4-year-old son had been doing my program with me for two years. They had been to a birthday party the weekend before, and as all the children rushed to the table full of cakes and sweets, grabbing handfuls at a time, she was surprised to see her son standing back and observing. He walked to the table and selected a single cup cake, and walked back to her. “What have you got there?” she enquired curiously, she had never stopped him from eating cakes or sweets before. 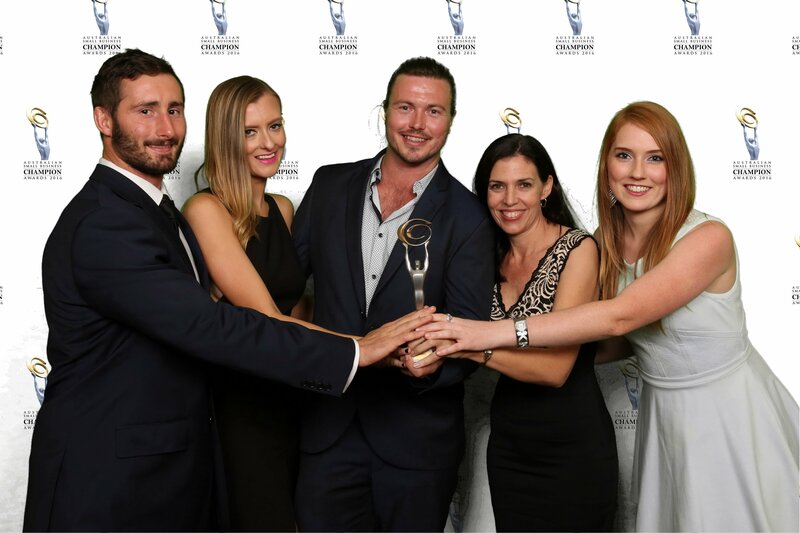 Growfit are the proud winner of the Australian Small Business Champion Award for Children’s Services for 2016, as well as being nominated as a finalist in the Local Business Awards for an Education Service in the Inner West!